Ever considered living in a luxurious home in a lifestyle community? This could be your opportunity! Finished in 2018, Sunrise Development LLC built this home in the coveted Rock Springs! 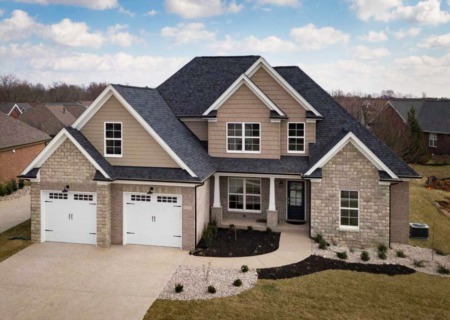 This fabulous new 1.5 story stone/Hardie board home is perfect for entertaining. This open floor plan home features 4 bedrooms, 3.5 baths and over 2900 square feet of living space. After entering the home you are welcomed by a massive staircase that opens up into a large great room with massive picture windows. Hardwood flooring, custom cabinets, two laundry rooms are a few of the luxury features that immediately meets the eye. The massive kitchen offers granite counter tops and a large center island with additional seating overlooking the great room and dining area. This home is beckoning latenight dinner parties! The pocket office off the kitchen is perfect for planning or a homework station. If you work from home this is perfect! You can close yourself off to work hard, however the clear glass pocket doors allow you to still be involved with the activity going on! The Owner's suite offers walk-in his/her closets and a private bath with a tiled shower, soaking tub and double bowl vanity. This large bedroom offers privacy and luxury. The laundry room and mud area with cubbies are conveniently located off the 2-car courtyard garage. This home has the perfect amount of storage for all the stage of life. And with custom cabinetry, it looks amazing! The upper level offers three additional bedrooms, two share a hall bath and one with a private bath. A 2nd laundry room is located on the upper level is an added bonus. All upper level bedrooms are equipped with safety ladder to exit windows. The unfinished lower levels offers room for future expansion with rec room, 5th bedroom and full bath. 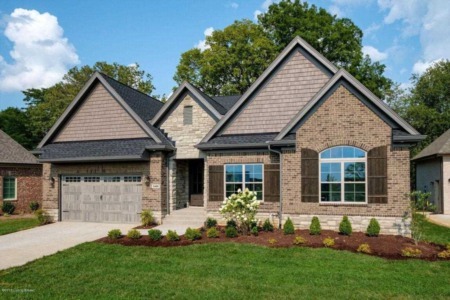 Just look at some of the beautiful features this home just has!